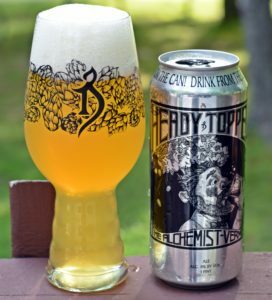 If you live in New England and pay attention to the craft beer scene than I am sure you have heard of Heady Topper from The Alchemist Brewery in Vermont. After months of wanting to get my hands on this beer and almost making the 3+ hour drive from Maine to Vermont on at least one occasion I was able to get 2 4-packs sent to me from a fellow craft beer enthusiast in Vermont. I ended up giving one 4-pack to a follower of my blog (actually traded for a very tasty lunch at Run of the Mill) and split the second 4-pack with another follower of my blog (although we have not connected yet for him to receive his 2 cans). The other 2 cans were enjoyed after long days at work and I have to say this is one beer that lives up to the hype. Appearance is unassuming but nice unfiltered orange color with slight head. The aroma makes up for the appearance with tons of citrus hops and a bit of pine, a truly great smelling beer. Taste is a bit more reserved than the smell but still has plenty of hops and some malts there to balance things out. This is what a DIPA should be with a fair amount of carbonation to help smooth things out and finishes dry making it very easy to drink and it does not drink like an 8% ABV beer. Really enjoyed this one, nice can with good artwork. Makes me want to visit Vermont so I can buy more. Pros: Easy to drink, well balanced, hoppy! 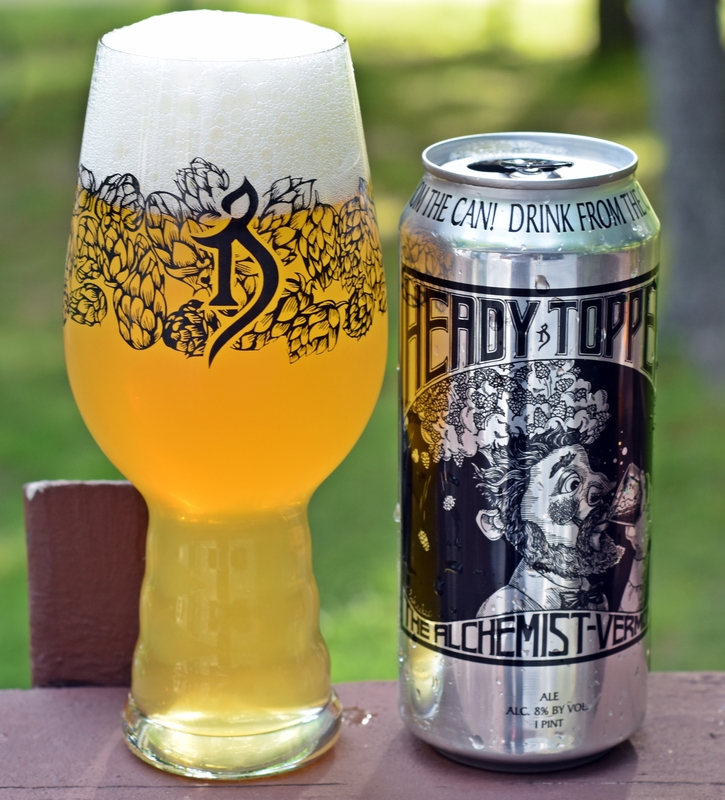 Brewers Description: Is our double I.P.A.! Loaded with hops, this one will put hair on your chest.